Do you want to study junior bookkeeping course through distance learning? Now you can with Together We Pass and our private distance learning college TWP Academy. Our junior bookkeeping course is fully accredited by the Institute of Certified Bookkeepers (ICB), and takes one year to one year to complete. 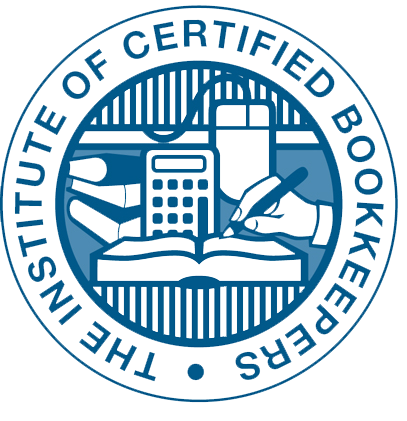 A fully accredited ICB junior bookkeeper course is a great way to start a career in accounting. Remember that a senior bookkeeper is just a junior bookkeeper. So if you long term goal is to be an accountant then this is the right start to your career. Once you have completed the junior bookkeeper course you will be able to gain entry to the senior bookkeeping course, and then on to become a qualified technical financial accountant. From there you can sign up to be a full diploma and become a qualified financial account. Once you completed the full diploma course you then have the correct entry requirements for CIMA, where you can take your qualification right up to the level you would receive if you started your studies at university. So from the humble beginnings of a junior bookkeeper you are on the right part to become a fully qualified accountant with the same qualifications as a university graduate. The simple answer is because it is relatively easy to get a job if you have a bookkeeping qualification. These are all positions which the ICB bookkeeping and accounting courses train you for. What is a junior bookkeepers function in the office? A junior bookkeeper keeps the basic accounting records for the business. What subjects will I do in my junior bookkeeper course? How is my ICB junior bookkeeping course examined? In order to be evaluated you have to submit the ICB Portfolio of Evidence (PoE). This PoE consist of 3 developmental activities, 2 formative examinations and one summative assessment that you complete at home before you write your exam. You keep these assessments in a folder that you take to your final exam, and your completed exam paper is the final piece that goes into the folder which is now your completed PoE. You hand the entire PoE in at the exam and it is the assessed to see whether you are competent. The assessments that you did are home count for 30% of your final mark, and the exam 70%. For how long is the ICB junior bookkeeping course? The ICB junior bookkeeping course should take you a year, but through distance learning can take up to a year and a half. You will receive 3 different certificates in this course. The most important one is the from FASSET SETA, which is your National Certificate in Bookkeeping (Junior Bookkeeping). You will also receive a Programme Completion Certificate from the ICB. TWP Academy will also send you a Programme Completion Certificate from the college which is delivered by courier so you can get it in your CV and start job hunting as quickly as possible. Another great thing about home study is that there are no set terms. You can start whenever you want – as in right now! Fill in the form on this page and our friendly student consultants will give you call and help you further. Why should I study Junior Bookkeeping course through distance learning? There are three major reasons why so many people are choosing to study via distance learning. The first is that the fees are cheaper than a campus education. With distance learning you are not paying for grounds, and lecturers for every classroom through your fees. There are so many overheads to running a campus that mean fees are much higher than when studying through distance learning. Secondly, you can study while you work which helps you to pay these fees. You can still look after yourself and your family, and at the same time further your education so that you can create the better future you have always dreamed of. The third reason, often overlooked, is that you gain valuable work experience while you study. You wont believe the number of graduates who cannot find employment because they have the best qualifications – but no work experience. In an economy with a huge scarcity in jobs employers are getting very picky, and they are very happy to ask for qualifications AND experience. So if you are getting work experience in the meantime you are putting yourself far ahead of the crowd. Can I study junior bookkeeping course through distance learning if I don’t have a Matric Certificate? You do not need a Matric to start any of the qualifications from ICB, which his why we like them so much. No one is excluded from further studies! For the ICB junior bookkeeping course all you need is grade 10, and to be at least 16 years old. Once you have completed the Junior Bookkeeper qualification this gives you entry to the higher level courses which take you 2 levels beyond the Matric level. For anyone who did not get a matric certificate this is a really lovely way to get started on the path to a great career.